This is an exploration of attitudes to nursing which explores why nurses' work is belittled and taken for granted by the majority of other professions, if not by patients themselves. 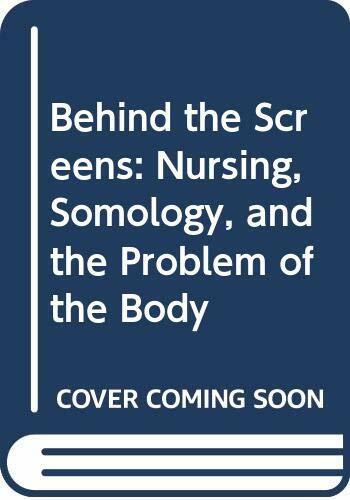 This is a sociological analysis of the substance of nursing by a nurse who has spent many years in the Australian nursing service. She explains why, in her view, nursing and nurses are frequently taken for granted. Moving on from obvious perceptions of nursing as "woman's work" or "dirty work", she focuses on the idea that nursing is people's experience of embodied existence. It is a positive approach which instills the reader with a respect for nurses and their discipline. In 1992 Jocalyn took up a chair in Nursing at the University of Sydney and from July1999 to January 2008 she was Dean of the Faculty of Nursing and Midwifery. She is a Fellow of the Royal Australian College of Nursing and a Fellow of the College of Nursing, NSW. She was also made an Honorary Fellow of the Congress of Aboriginal and Torres Strait Islander Nurses.